I know it’s been done, but I do love Audrey Hepburn. She is the style icon of my soul. 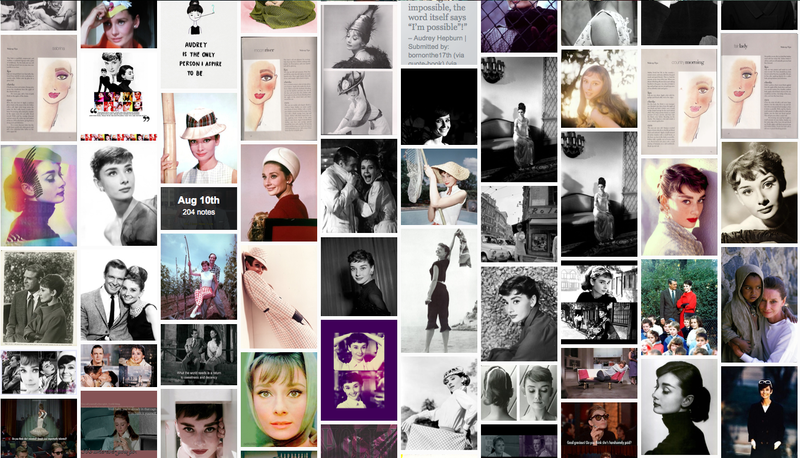 Recently, thanks to the lovely B-Mac, I found this blog (excuse it’s title) and its treasure trove of Audrey photos, quotes, and the like. After finding a makeup tutorial a few days ago on this site I went back to find it again and actually use it. So I clicked on the archive, and lo and behold it was just as beautiful as the it’s muse. I took a screen cap to show you just how cool it looks. Go forth and be inspired, there’s more than enough to go around.